Smart Water CSI, a clear liquid you dab on your possessions, claims to deter burglars by making it easier to find stolen property. WASHINGTON — If you live in Prince George’s County, you have a new tool to prevent burglars from hitting your home. It’s called SmartWater CSI, a clear liquid you dab on your possessions — everything from cell phones to lawnmowers to furniture. The liquid — which is not actually water — has a forensic code unique to each bottle that stays your items indefinitely. So, if your stuff is stolen and police recover them, they can identify you as the rightful owner. The UK-based maker of SmartWater says that one London neighborhood that tested it saw burglaries decrease by 85 percent. And the Prince George’s County Police Department is counting on that deterrent factor. 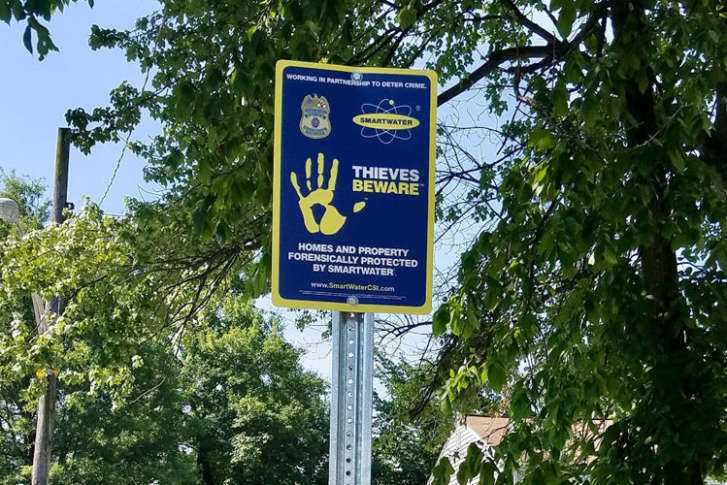 It’s put up signs in several neighborhoods warning criminals that some residents are using SmartWater. If you want to try SmartWater CSI, contact your Community Oriented Policing Specialist in Prince George’s County or call the Community Services Division at 301-772-4710 for more information.